This past Tuesday, Leadership held its first ever movie night. Given the fact that last school year Leadership canceled several events, one being multiple movie nights, this was a highly anticipated event. The movie screening was the horror film by Stephen King, It. The story takes place in 1960 where seven outcast kids known as “The Loser Club” fight an evil demon who poses as a child-killing clown. Thirty years later, they reunite to stop the demon once and for all when it returns to their hometown. 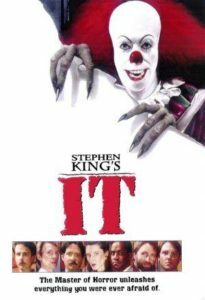 The movie was perfectly planned with all the recent hysteria over clown sightings in several states throughout the country. However, not everything was as people expected it to be. Despite technical issues, the overall event was entertaining. Friends were able to enjoy time after school watching a scary movie as Halloween approaches and not worrying about school the next day.